I really, really fell in love with this artist when I merely scanned several articles about him. Apparently, Šafranko as a young boy carried easels for Erdelyi and Bokshai (two iconic Rusyn painters) when they came to visit his father, a teacher and an amateur painter (1). 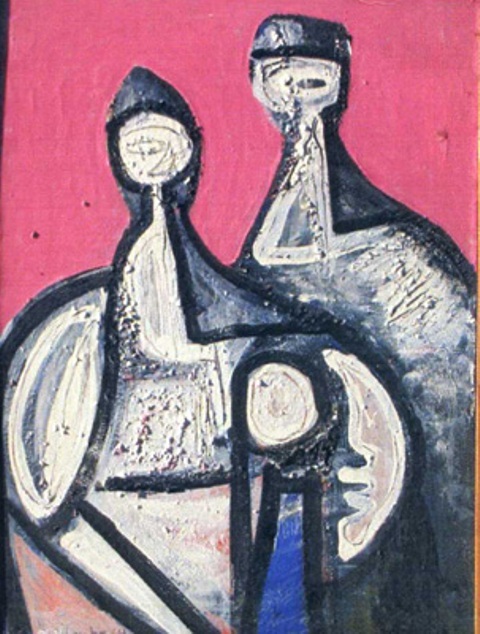 Šafranko was always experimenting with styles, techniques, media and subject matter, which was not always positively received. His creative process is my favorite, too: letting the hand go as if it was guided by something or someone, and getting thrilled by that tension of unfinished-ness (2). Šаfranko won The Andy Warhol Award in 2004. Together with Stefan Hapak, Dezider Milly and Orest Dubay (all with Rusyn roots), he is considered one of the best visual artists in Slovakia.